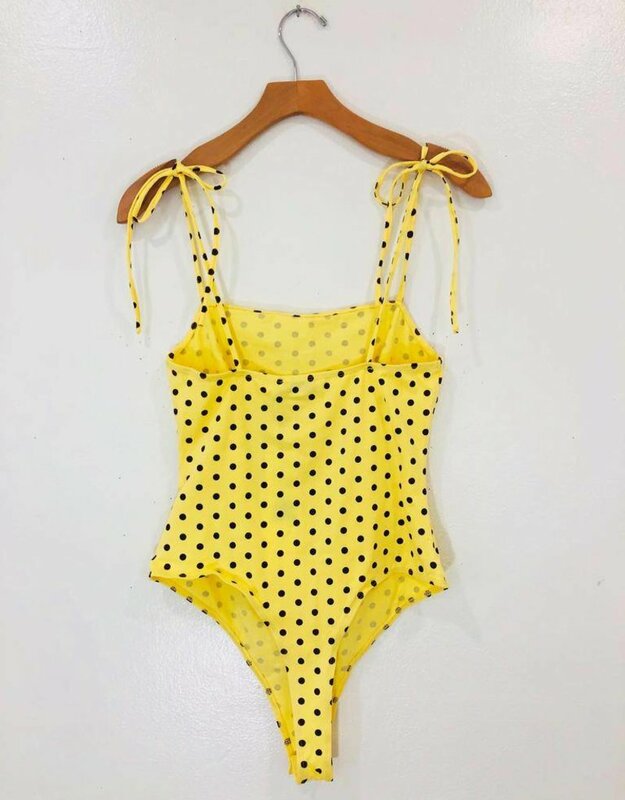 This yellow and brown polka dot bodysuit has us so excited for some warmer weather. 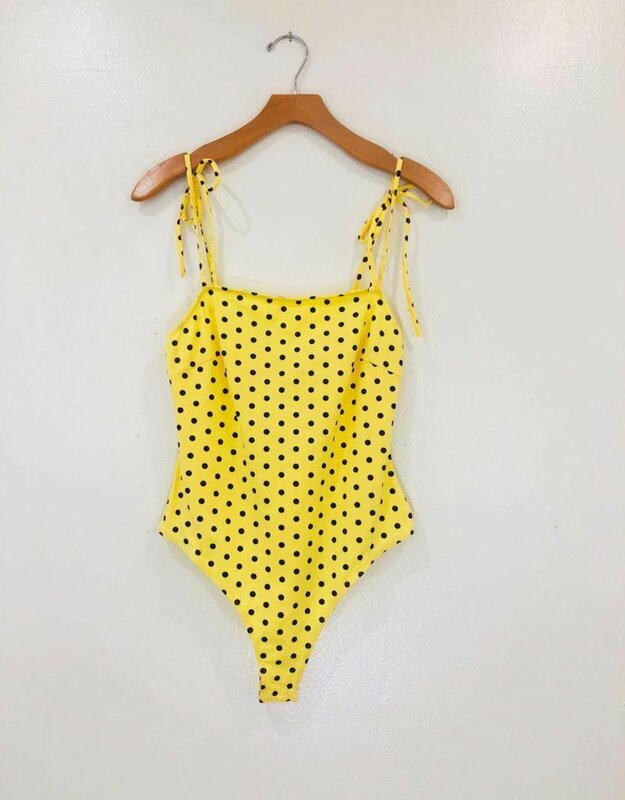 This cheeky bodysuit has high cut legs with snap closure bottom and adjustable shoulder ties. A straight neckline keeps this look so fresh. 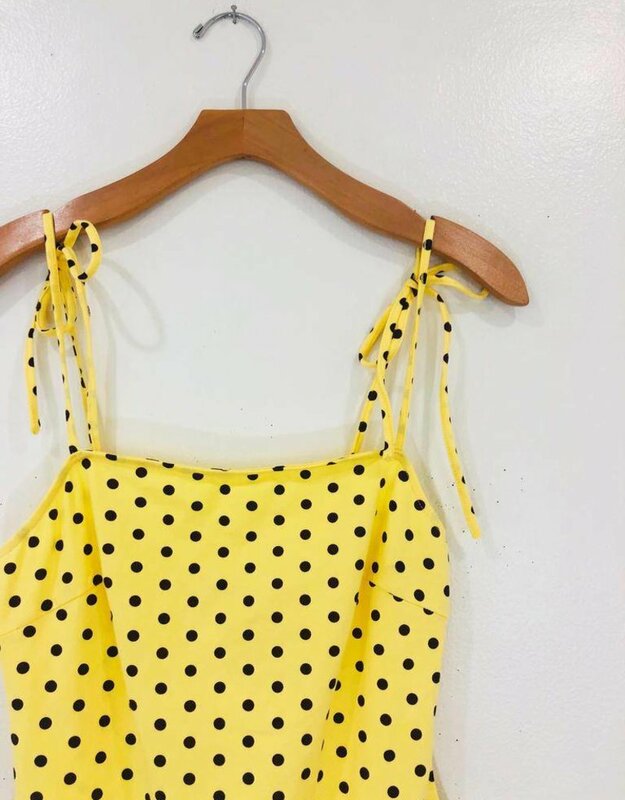 Pair with our Utility Crop.